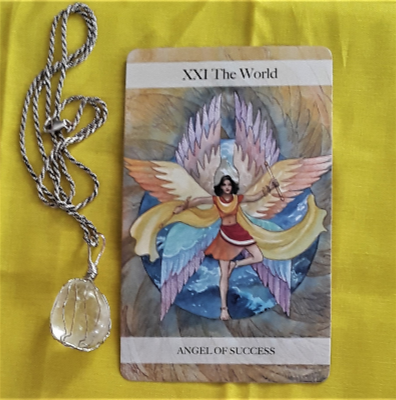 The Tarot cards for today are the Eight of Pentacles (Dedication) and the Emperor (Angel of Wisdom). Continue to put your efforts into work you enjoy. If you believe that what you are doing is your calling — you will receive great benefit from it. Your dedication to your authenticity sets the stage for a solid foundation in your life. Hi! 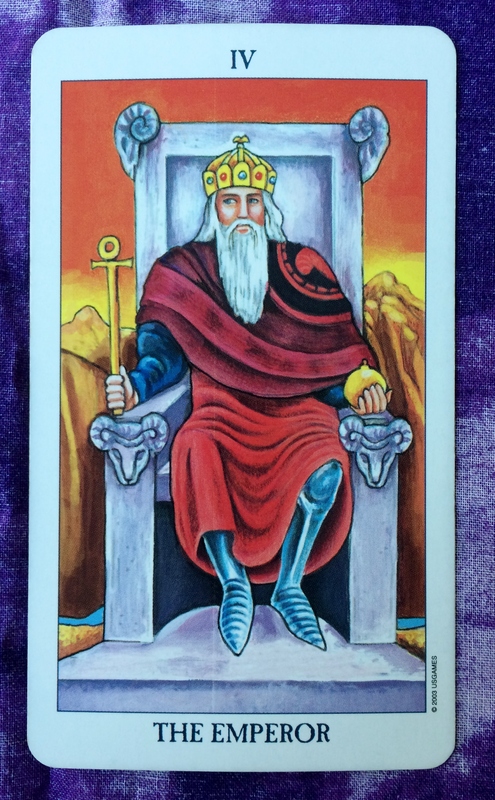 The Tarot card for the day is the Emperor. Some of us are recognizing today as Valentine’s Day. So it seems a little odd that the Emperor card would appear in my draw today. The Emperor card leans more toward logic than the heart. It represents authority and so-called “masculine” energy. But today is also Ash Wednesday, which starts off Lent for those of the Christian faith. So in that aspect, the idea of tradition and following rules is in keeping with the Emperor card. For my part, I believe that showing love is something we should do every day, with no special holiday needed! And I bet there are other “Scrooges” out there who do not embrace the whole Valentine’s Day meme for a variety of reasons. 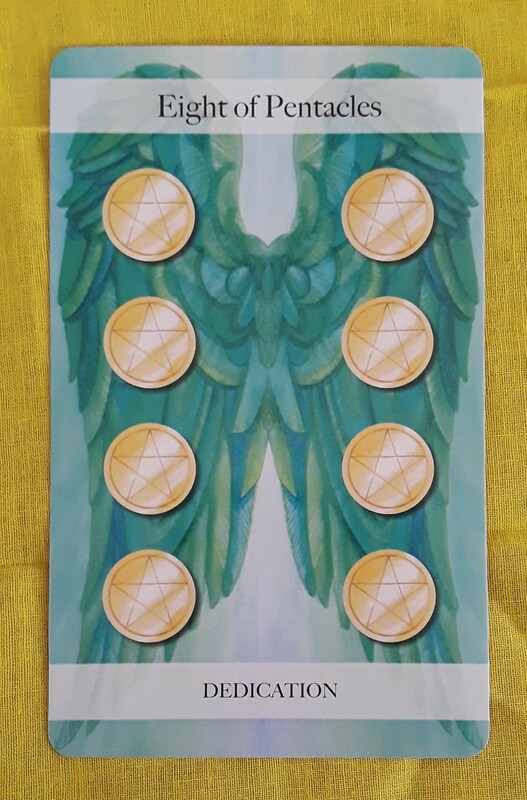 So with all that being said, I think the energy of the Emperor card is encouraging us to embrace the institutions of Valentine’s Day (to celebrate love) and Ash Wednesday (to feel like you are a part of the Universal Consciousness). Traditionally, women receive most of the Valentine’s Day gifts and attention. But make sure to acknowledge your male significant others — not just lovers but also fathers, brothers, uncles, and friends. And for women like me who take the hard line about Valentine’s Day, show us some love, too. We may talk tough, but I doubt that any of us would turn down love. The card for today, Saturday, and Sunday is the Emperor. The energy is all about asserting authority, which we already had a taste of this week. This can be on your end or through somebody else. You may be in a position to set down rules and boundaries. Just make sure that you are doing it for the good of everyone involved, that you see the bigger picture, and that you are able to provide strong, fair leadership. If you are too heavy-handed or selfish, you will — and should — be met with resistance. If you are the one being led, understand that there is nothing wrong with taking direction from someone else. Just remember to do it consciously and to make sure that you are comfortable with where you are going. Otherwise, the best thing to do is to follow your own authority. 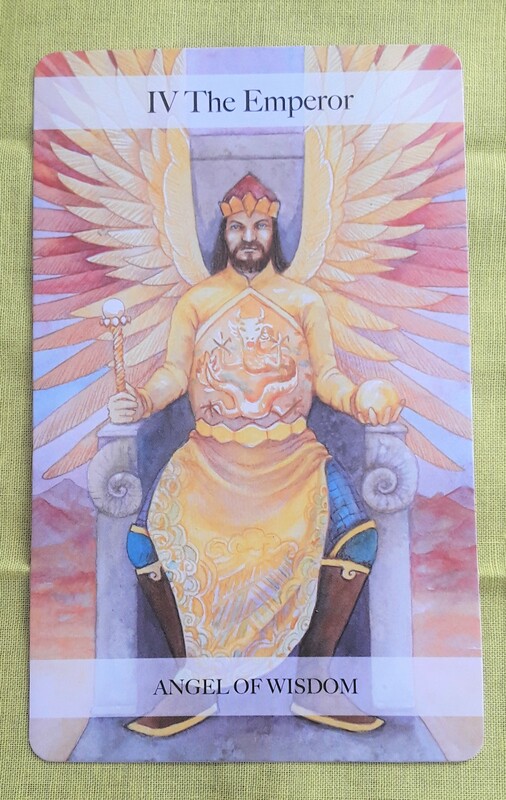 The card for today is the Emperor. Are you a supervisor, team captain, parent, or anyone else who is in a leadership position? You should be completely confident in your authority today. Yesterday’s card had a similar message about leadership but today’s card is the same concept on steroids. So while I warned against micromanaging yesterday, today I’m saying more intense supervision is in order. If there is any warning, it is to make sure that you treat others with respect. Also, while this energy encourages you to let your mind overrule your heart, the heart shouldn’t disappear. Exert your will with love. If you are not the one in authority, this card could also represent your boss, work colleague, or parent. You may find that this person is a little overbearing. But at the end of the day, what they are telling you to do is probably for your greatest good. Anything that requires discipline may be easier to accomplish today. So if you need to concentrate, meditate, or study, today is ideal for those activities.